It has been a fun summer and I am really behind in my blogging! Hard to believe summer is almost over and Amara will start the school year at her new school next week. But let me fill you in on what has been going on recently. Amara and I have had a couple of wonderful beach days! We’ve had our usual sleepovers, watched some great movies, done some baking and made a lot of gummies! Amara and I were really excited to try out our new gummy worm molds! 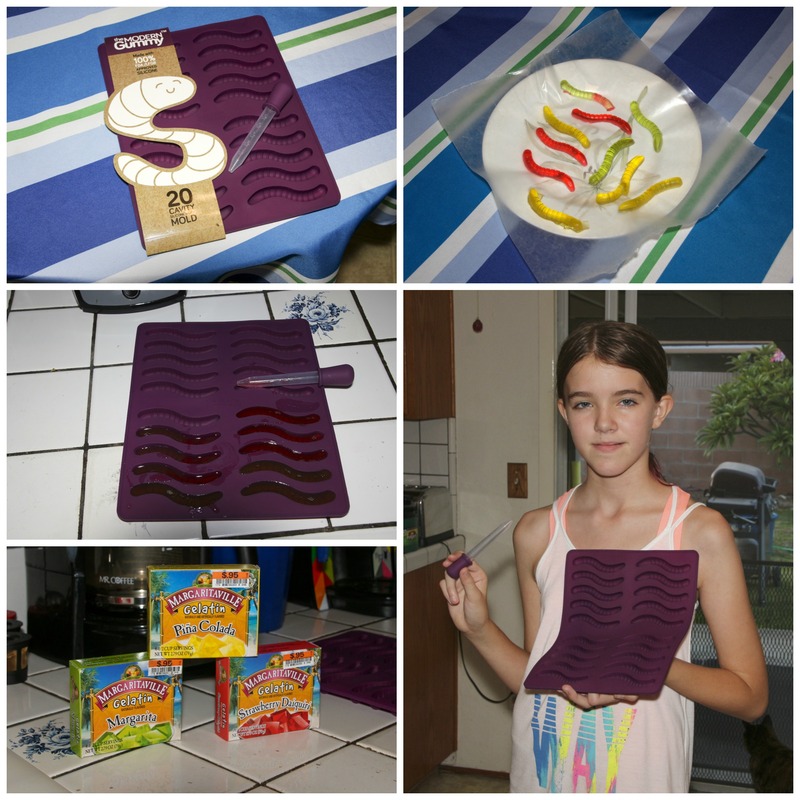 The Modern Gummy which is the company that makes the gummy bear molds we use emailed me and asked if we would like to try out these new Gummy Worm molds in exchange for reviewing them on Amazon. If you or your grands ever want to make gummies I highly recommend their molds! The detail on the bears is amazing and the worms look like the kind you buy at the store. Since Amara has started making gummies I have been on the lookout for different Jellos. I found these crazy Jellos at Big Lots which we used for our first batch of worms. Amara asked lots of questions about whether she would be able to eat them. We explained it was just flavoring and not alcohol but she was so sincere in her questions! There is a running joke around here that Justin (Amara’s Daddy) doesn’t like me because he won’t make me Margaritas! It really is just a joke but Amara loves to keep things going and told her Dad he couldn’t have any of the Margarita gummies! Funnier yet was when she tried one. She looks at me and says, “I can see why people like Margaritas!” That Jello really did make neat gummies – they were extra sparkly. The piña colada ones were kind of bland but we liked the Strawberry Daiquiri ones, too. We are becoming gummy experts. We also had a summertime visit from Fred and his parents. Usually they come to visit at Christmas time and I get fake snow for the kids to play with. Since we had so much fun with Orbeez when the girls came to visit I thought it would be fun and it was supposed to be warm! I didn’t tell them what I had planned but I told Fred and his Mom to be sure and bring a change of clothes. We had a blast! We finished off the afternoon with hot dogs and the brownies that Amara and I had made the night before. l love that there are Orbeez in the yard again. Speaking of having made the brownies the night before – it is a good thing we did as Amara slept until noon when I woke her up! She has been sleeping 12 or 14 hours a day for the last month or so. Jenna attributes it to another growth spurt! She has grown ½” in just the last 2 weeks and is now over 5’4” tall. I think she is taller than Aunt Sandy! As a reminder Amara comes from tall stock! Her Mommy is 5’10” and her Dad is 6’4”. They did one of those calculations and it says she will be 5’11” when she gets done growing! Jenna used to always tell me that when she was taller than me she got to be boss. She had a growth spurt at 18 and blew by me! I wonder if she will let Amara be boss if she is taller. UPDATE: While I was writing this Jenna called to say they measured Amara this AM and she grew another 1/4″! We have a few things yet to come before the big first day. Amara is coming over tomorrow to make gummies to take to school and share on her first day. Friday she and Mommy are getting their “back to school” haircuts and I get to go with them. I would get a haircut too if I could figure out what the heck to do with it! As I write this Amara and her parents are at Registration and Orientation. School will officially start next Tuesday. When the students got their acceptance letters back in April the 7th graders were given an opportunity to test for math placement. Amara got into Advanced Math. She has always been a good math student and was on the Mathletes Team last year. Getting into Advance Math means her schedule will allow for Spanish, too. Amara got to meet a lot of her new classmates last weekend. OCSA hosted a swimming party and BBQ for the new Production and Design students and their parents. She made a couple of new friends and reconnected with a friend who had left Santiago a few years ago. Amara was so excited that they both got into OCSA and even more excited that they got the same conservatory! She has so much fun in her future! I can’t wait to watch it all unfold. This memory was posted in Odds and Ends, Special Occasions and tagged Amara, Fred, gummies, Orbeez on August 17, 2016 by Grandma Kc. We are very proud. Congratulations to Amara. I am so glad that when she was only 6 months old we were very wise and moved so that we could be closer to them. So glad we have been close by to enjoy it all. Love you! Every day is a new adventure! How much fun to make gummies together and experiment on shapes and flavors! This is a great project for grandmas and kids; bags of them could become gifts too! 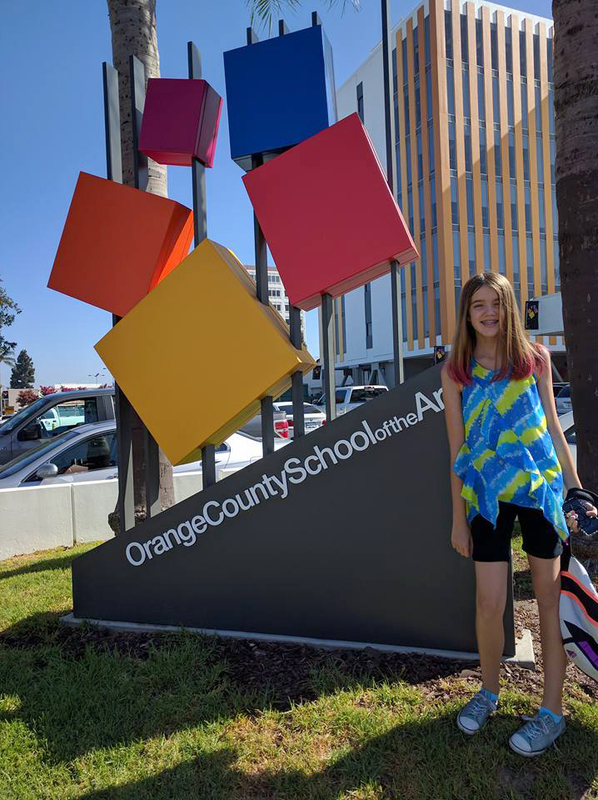 I am so impressed with Amara’s placement at OCSA. Monique told me how intensely competitive the application process is – thousands to compete against! And then Amara tests into an advanced class! That’s great! I’m excited to hear all about her experiences right here – in Amaraland! Summers are so busy, so fun. All the best to Amara at her new school. What a great opportunity for her and I know she will rock it! 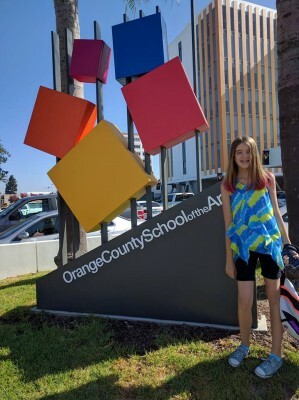 She worked so hard to get into OCSA that I feel pretty confident that she will rock it! OMG! I had no idea that Valentina was 6 feet! I love being tall and I am only 5’8″. One of the best things about being tall is you can eat a couple of extra gummies and it doesn’t show! Thanks Deb! I can’t believe how fast the time is going. Sure wish my super power was slowing down time! Thank You Judy! She is so excited about school and I am so excited for her! She came over Thursday to make some more gummies and when I picked her up she had to show me everything – her books, her ID, her class schedule, her planner… I just love her enthusiasm and she texted with her Big Buddy while she was here. They assign an upper grader to each student – actually the upper grader has 3 students; all from the same conservatory. It is going to be a great experience. What a great summer you’ve had! Keep up the good work on those gummies! I may have to place an order for Uncle Mark. Gummies are his favorite!! Amara is taller than her Aunt Sandy! At my best, I only made it to 5’3 1/2″. I’ve shrunk now to 5’2 3/4″. Bummer!! Love the pictures of the Orbeez war! You all look like you’re having a great time!!! Looking forward to what’s in store for Amara at OCSA! We’re so proud of her!! I am hanging my head in shame because there is a small bag of gummies in my freezer that I was supposed to mail to Uncle Mark. I will have her add some more and get it in the mail, I promise! About that Orbeez War – does anyone notice that Fred’s Mom is using me as a shield!? We did have a blast! My husband wants an invitation for the next time you make gummies – not to help but to eat! That backyard water party looks like fun. Amanda and her twin, Ben, are in 8th this year. They and their brother who is in 6th started middle school today. Where did the summer go? I like Amara’s red hair streak. Amara and I made gummies again yesterday. She is spending the night Saturday so that she can unmold them on Sunday to take to school on Tuesday! We’ve discussed finding Santa molds to make them as Christmas gifts! One of my soapbox subjects is that all the schools are on different schedules. I hated it when I was growing up and going to Catholic school and our vacations were always different from all the other kids on the block! What a great way to wrap up the end of summer! She is just so much fun to spend time with! Good to know about the gummies. I’ll have to give that a whirl. I hope her new school is the perfect fit! Your Gramerlings would love gummies! Amara and I want to find Santa molds so she can make them for Christmas!